*The following post is written by Greg Coles. 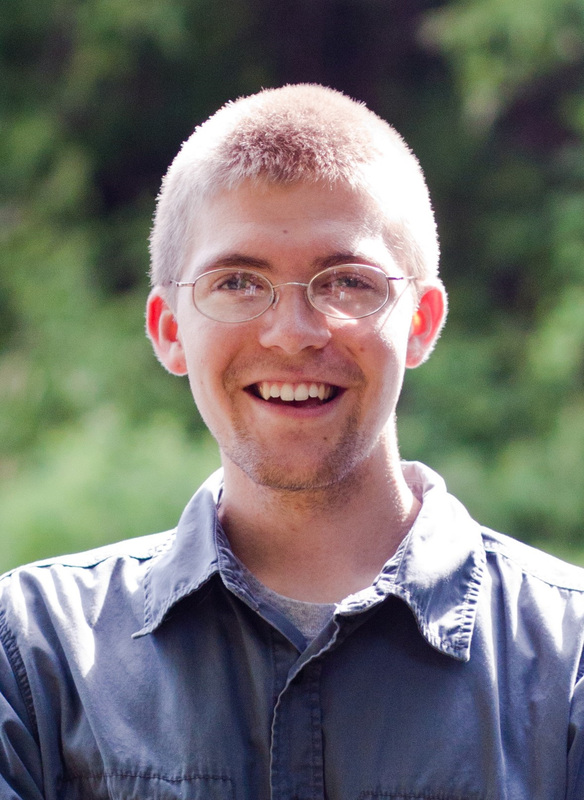 Greg is a Ph.D. student at Penn State and is part of the collaborative team for The Center. Greg is also the author of the recently released book Single, Gay, Christian, which is published by InterVarsity Press. I’ve always been bad at blending in. I grew up in Indonesia, where I was six inches too tall and seventeen shades too white to pass for a genetic Indonesian. At college in upstate New York, I was the guy from 10,000 miles away, the one who sang as he walked and edited the school newspaper and wore the same green hoodie every day for two years. I’m abysmal at video games (which made me the black sheep of countless middle school birthday parties), but I’ve had Hamlet’s soliloquy memorized since I was eight. I know what it feels like to get a few funny looks. I’m accustomed to being weird. Still, I’ve never felt more conspicuous than I did when I came out as a celibate gay Christian. For one thing, a lot of people just don’t expect the words “celibate gay Christian” to go together. They react as if I’ve called myself an “Olympic toenail consultant” or a “vegan lumberjack ballerina.” Any one word makes sense, even if it makes people uncomfortable. All three words together seem like gibberish out of a Lewis Carroll poem. Then, apart from the words themselves, there’s the weirdness of the claim I’m making. Being so in love with a two-thousand-year-old Jewish guy that I choose not to pursue any of the present-day guys I might fall in love with. Worshipping the same God as people who think my very existence is an affront to heaven. Standing halfway between the LGBTQ community and the evangelical church community, not quite fitting into either one, catching occasional rotten tomatoes from both sides of the aisle. Gay Christian celibacy is weird. In some ways, I’m deeply saddened by this state of affairs. I lament that the church has historically created so little room for sexual minorities. I hate that kids who grow up gay and Christian are so often told they must choose between loving Jesus and “being gay,” as if their mere sexual orientation were enough to send God running in the opposite direction. I mourn the many people like me who don’t feel safe being open and honest about their sexuality within their communities. I pray that, by telling my own story, some small part of this “weirdness” might become less. And yet, in another sense, I absolutely love the fact that gay celibacy is weird. In the New Testament, it wasn’t uncommon for followers of Jesus to look weird to the people around them. Peter has to reassure a crowd of Jews that the Christians they see prophesying and praising God “are not drunk, as you suppose” (Acts 2:15, NIV). When Peter and John heal a lame beggar, they draw a crowd of people who gape in disbelief, making Peter ask, “Why do you stare at us?” (Acts 3:12, NIV) The Roman procurator Festus interrupts Paul’s testimony of his conversion by saying, “You are out of your mind, Paul!... Your great learning is driving you insane” (Acts 26:24, NIV). For the early disciples, pursuing Jesus inevitably meant startling some people. One of my concerns with 21st-century evangelical Christianity in the West is that we’ve lost the art of weirdness. We chase after political power, create monocultural social bubbles, climb socioeconomic ladders, and fit quite comfortably into Western society. We’re so busy living lives that make perfect rational sense, becoming known for our campaigns and policies rather than our mind-boggling love and devotion. We’ve fallen out of practice at following Jesus in startling ways. And in that sense, I love being a celibate gay Christian. I love having people stare at me like I’ve sprouted a third eyeball when I explain what Jesus means to me, the things I’ve given up for him, and the joy I’ve received in exchange. I love telling people how I’ve experienced the faithfulness of God to look out for my wellbeing in the moments I stop putting myself first. I want to be remarkable, not because of my sexuality, but because of the all-consuming way in which I love Jesus. Certainly, I’m not saying that straight people can’t follow Jesus in weird ways too. Quite the opposite. I’m saying that all of us are called to weirdness. As Paul writes in 1 Corinthians 1, the gospel will inevitably look like nonsense without God’s upside-down logic making sense of it. Our lives were meant to be written in code, indecipherable to onlookers except through the cipher of Jesus. If you claim to follow Jesus, gay or straight, and your life story makes perfect sense without the cipher of Jesus, you might need to reconsider who you’re actually following. As I continue to grow in Christ, I want to become weird in even more ways. More remarkably loving. More bizarrely joyful. More extravagantly generous. Short of growing tentacles, I want to become as alien as I can possibly be on this foreign planet Earth. But for now, I celebrate the weirdness of my sexuality. I celebrate that whenever people ask me about being gay, it’s impossible for me to answer them without talking about who Jesus is. I hope I’ll always stay at least that weird.